Bad breath is usually brought on by the breakdown of proteins by bacteria somewhere in the mouth. However, there are several other possible causes that can also lead to bad breath. Snoring can be caused by obstruction of the airways. We can provide a solution for this. If you suffer from sensitive teeth, Riverside Dental can help. Read on to find out how. 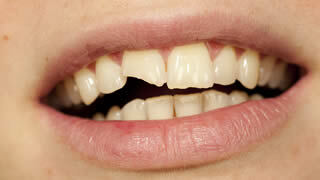 Teeth are remarkably strong, but they can chip, crack (fracture) or break. This can happen in several ways from biting down on something hard, being hit in the face or mouth, falling, or having cavities that weaken the tooth.